You’re half an hour into a Battle Royale match. You’ve survived sniper fire and out of control vehicles, and took down your fair share of rival players. The battle is reaching its inevitable climax. The tension mounts as you discover that there are only you and one opponent left. You can practically taste that chicken dinner. You creep around the side of the one remaining house on the map, sliding stealthily through the side door, when…. BANG! Standing, or rather ‘camping’ behind it is the same guy that has killed you in the previous round. And a few rounds before that. In fact, it feels like this person has been stalking you all day, popping up at every turn, and ruining any hope you ever had of winning a match. The red mist begins to descend. When this happens, we generally fall into one of two categories. We either realize what is happening within our own mind and try to cool down, or we end up stressing out, screaming out loud, or in the case of some - hurling the controller across the room. If you fall into the first category, then you most probably know how to control the anger that bubbles up inside the vast majority of us when we lose at a game. But if you happen to fall into the second category, things can take a rather unpleasant turn. 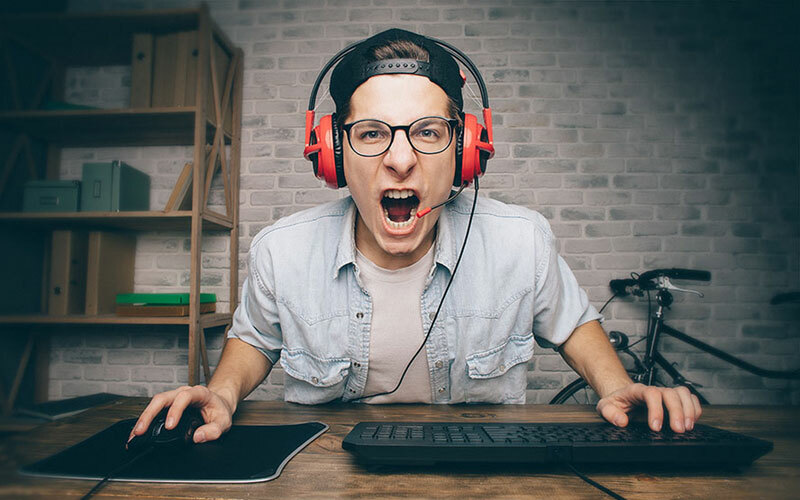 The reasons that we experience ‘gamer rage’ are no different from those for road rage or any other sort of anger management issues. It is often rooted in the perceived feeling of not being good enough or being mistreated, and it is hard to ignore. Now, there is always the option to put the game down and stop playing, but for those of us who put video games at the top of our ‘pleasurable activities list,’ this is something we don’t really want to do. So, is it possible to completely control and lower our stress levels when playing games? Or is the suppression of these feelings the best we can hope for? Well, that very much depends on you and whether you can identify your triggers early. Triggers are aspects of games that begin the cycle of anger we experience when ‘gamer rage’ rears its ugly head. These triggers are present for all of us, and some are worse than others. Similar to the aspects of life we enjoy, our triggers vary from person to person. For some of us, it could be when a particular player seems to target us repeatedly. For others, it could simply be struggling to pass a certain level. In general, these triggers tend to be related to performance rather than the game content. Whatever your personal trigger is, you can recognize it the moment you start to feel like your thoughts are out of your control. It is often accompanied by a raised heart rate, faster breathing, sometimes shaking, and the clear sense of utter rage. There are other symptoms, but it really does depend on your particular psyche as to whether you exhibit them. 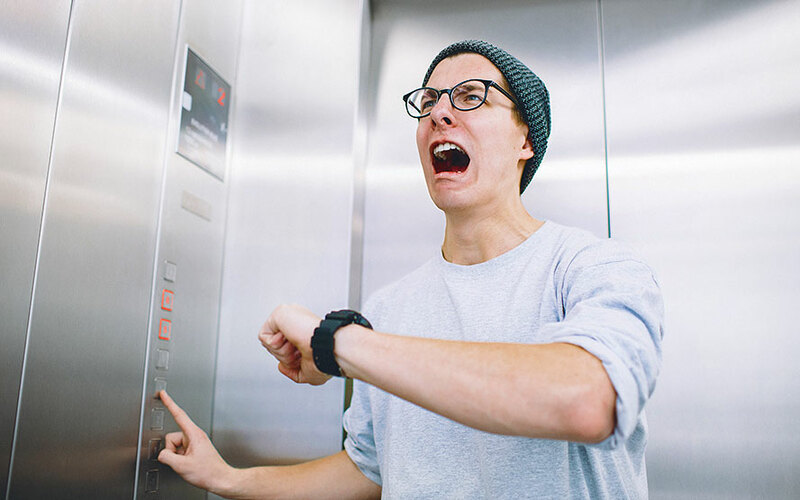 The clenching of teeth, sweating, stomach aches, and even dizziness have all been reported as early warning signs of an impending rage. Learn your triggers, and you are on your way to dealing with them. If you find it hard to decipher what exactly is triggering you, it may help to ask a friend who you play with regularly. For those of us who ‘rage quit’ games regularly may notice that it is easier for to see the triggers from the outside, rather than from within. Wherever the trigger exists, anger is sure to follow, but there is one immediate, sure-fire way to make sure that the rage begins to subside. Take a break. Taking a break from a particularly frustrating level is something that should help you calm down quickly. Just like with many other problems, taking your mind off the game can immediately make you feel more relaxed. It also has a critical side-effect of sometimes improving your performance on your return. Ever spent hours trying to pass a level on a game, only to take a short break, come back and beat it immediately? That may not be a coincidence. A learning technique called “incubation” has been discussed in the music industry from quite some time, and the idea centers around the fact that your brain will continue to decipher the things you learn in everyday life, even when you are not consciously thinking about them. This mostly happens when we sleep, often letting us wake up with a fresh perspective on a problem. This phenomenon was initially observed in musicians learning new instruments, but the premise is the same for any skill you wish to learn. If you are gaming into the small hours with diminishing success, perhaps it might be time to take a little break or call it a night and start fresh tomorrow? The next option might be considered a cop-out, but it is worth considering if you are finding your rage is impeding on your enjoyment a little too much. No matter what your friends may say, turning down the difficulty is NOT a criminal offense. If you find that a game has stopped being fun, is it really that much of a sin to lower the difficulty a notch? Purists may scorn, but we aren’t all born with cat-like reflexes or the patience of a saint. We shouldn’t feel guilty for wanting to complete a game either. 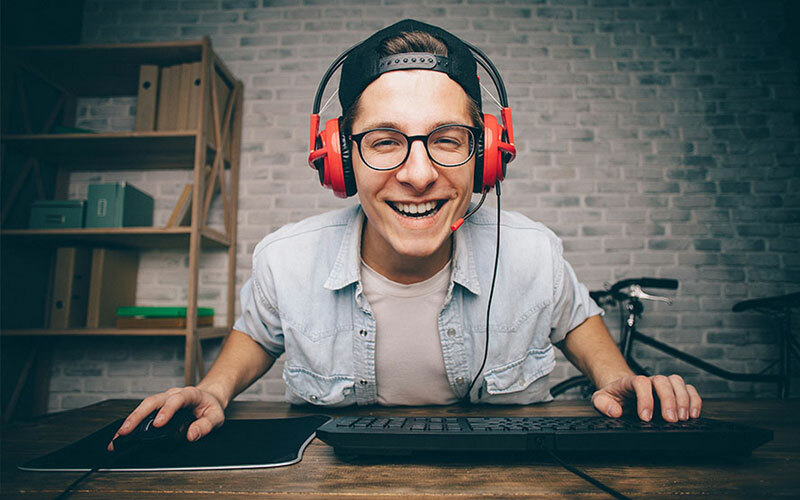 The only reason anyone plays video games is to have fun, so when that stops, it may be time to finally admit you are more of a “hey, not too rough” kinda guy or gal. If turning down the difficulty makes you recoil in abject horror (or if you are playing an online game, it's just impossible) then you really are only left with one option. You need to get better. Now, you may think that is a trite statement, and to a point it is, but with the resources available to us these days, you really haven’t exhausted all avenues unless you have watched a tutorial video or two. If full-on walkthroughs are not your style, then perhaps a video that discusses tips and techniques would suit you better? Or for sports and competitive online games, watching a few experts on Twitch could give you a new take on why you happen to be so embarrassingly poor at a particular game. ‘Knowledge is power,’ as they say, so find out who are the best players in the world at your game and start taking notes. When you simply can’t calm down, sometimes it can be a cathartic experience to take your anger out somewhere else. No, I'm not advocating shouting at your neighbor, but if you do find other activities alleviate stress for you, it might be a good idea to do just that. For those of you who own a boxing bag, the answer would seem obvious, but for those who don’t, taking a break from that challenging game and loading up another that you practically have a doctorate in could give you that much-needed relief from failing over and over. Once you have found your heart rate is back to normal, you can pour yourself a lemon iced-tea, light a candle, and try to tackle that unforgiving game again. If you are someone who is generally quick to anger, be that in gaming or other aspects of your life, it could be a good idea to look into real anger-management and self-help techniques. Being ‘mindful’ of your overall mental health is nothing to be sneered at. For those who suffer from anger issues, these facets can impede our happiness to a point where it affects our work life or our relationships. If things ever get to this level, learning how to avoid these situations and how to deal with them could be imperative in cementing your long-term happiness. Learning breathing techniques, how to clear your mind, and how to distract yourself can mean the difference between being the best version of yourself possible, and being that angry person that other people tend to avoid. If your anger is getting out of control, never feel embarrassed about wanting to seek help. It is a widespread problem and one that is much easier to deal with once you possess the right knowledge. The most important piece of information to take away from this is that gamer rage doesn't mean that you need to stop playing games. It is worth remembering that the vast majority of us are very passionate when playing video games, and that passion can sometimes lead to angry when things don't go our way. Rather than thinking you need to eradicate all negative feeling while you play, be aware that you can appease these feelings, without taking the ‘edge’ out of your game. Your frustration at losing should be looked at as a resource for inspiration, rather than something to be ashamed of or annoyed about. Nobody exits the womb as an expert in anything, and video games are no exception. Why are you so bad at this game? Why do other players seem so much better? What tactics are they using? What skills do they possess? Rather than letting the rage sweep through you, identify it, and then distract yourself from the anger by asking yourself how you can improve. If you find things too demanding right now, take a break and come back with a fresh attitude later. Above all, try to remind yourself that games are supposed to be fun. Stress is what we are looking to avoid in our downtime, so go easy on yourself next time you are on a poor run. If you continuously come away from a gaming session feeling angry and drained, it will be worth your while to address the issue head-on. We all feel the urge to ‘rage quit’ from time to time, but when it interferes with our enjoyment of gaming, a change is needed. Frustration is fine - anger isn’t; so for the sake of your own mental health, address the problem rather than letting it define you. Gaming should be fun - nothing less. Grinding Games: How Do They Keep it Engaging?